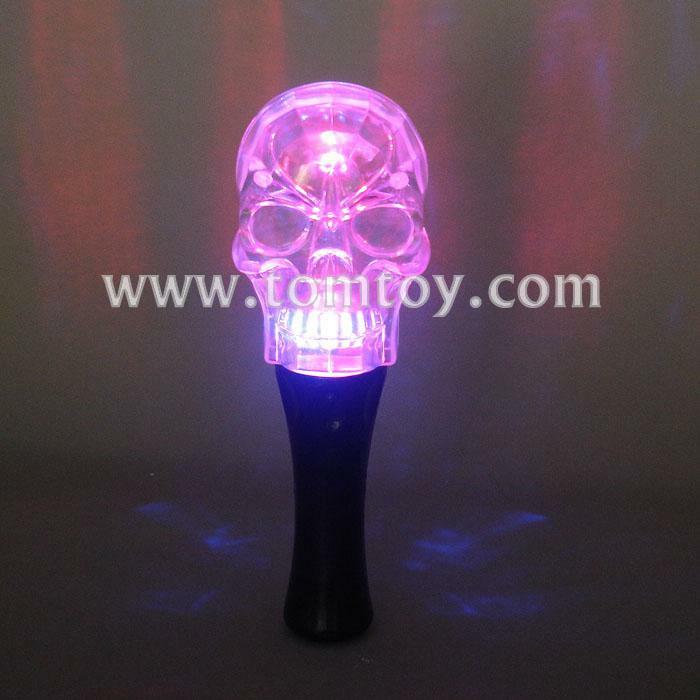 1,Our LED Crystal Skull Wand will be the best way to spook your friends or use as a flashlight when trick-or-treating. 2,Perfect for your next Halloween costume, this wand will have you lighting up the night! 3,The click of the button on the handle will bring you through a series of three flashing modes, with blue, green, and red LEDs. 4,Measures 8 inches. Its everything you need when looking for Glowing Wand. Easy to use, and absolutely amazing Magic Wand product.